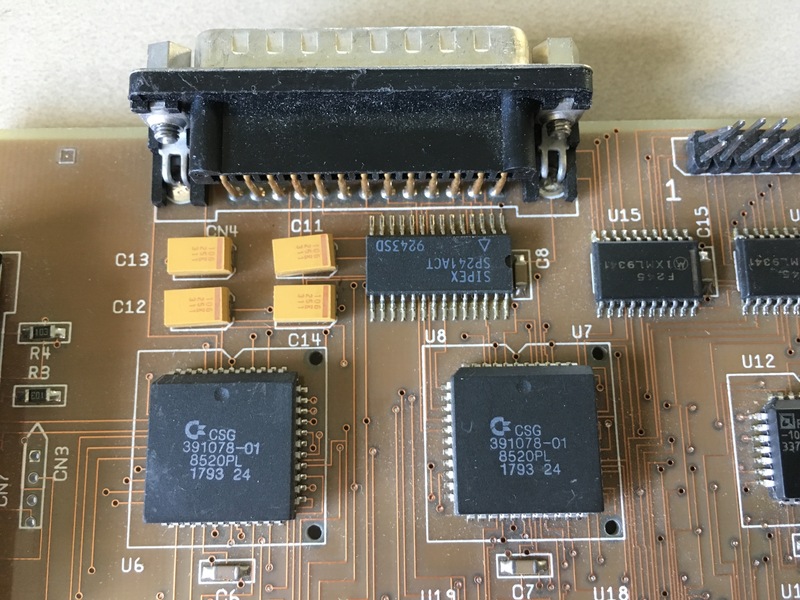 The CD32 Debug board supplies the CD32 with a serial and parallel port as well as a floppy controller and an IDE port. This device was only ever released by Commodore to games developers for testing and porting their software to the CD32. 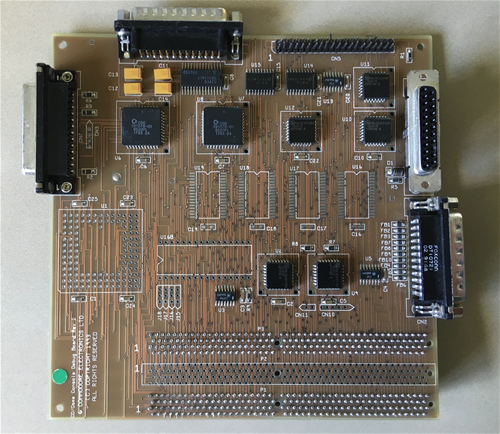 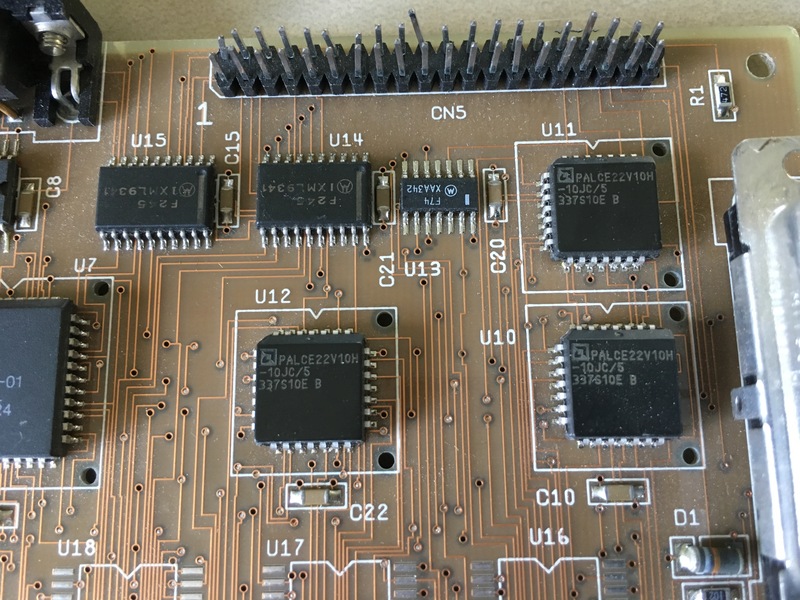 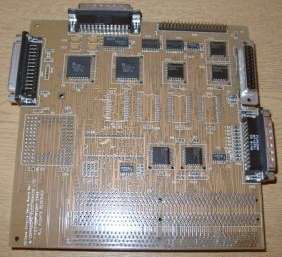 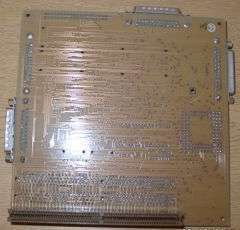 The debug board processor can only be another 68020, and the slot is there to use a 68020 emulator in place of the real CPU. The have been early versions with an EPROM to patch an early Kickstart, RAM that may or may not conflict with existing RAM if populated, and a special developer version Kickstart is needed in the console for the Debug Board IDE port to work. 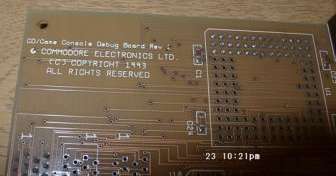 Page contributors: Brek Martin, Gavin Fance.